0,23€ PER CAPSULE. 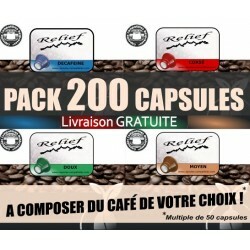 Batch of 300 Relief capsules Nespresso® compatible. 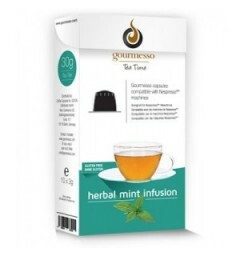 Arrange your own composition of flavours within the four available aromas; Decaf, Low, Medium or High intensity. By buying this product you can collect up to 65 loyalty points. Your cart will total 65 points that can be converted into a voucher of 2,60 €.